The wedding trendsetters have spoken. This year’s design direction is less shabby, more chic and less rustic, more classic. Color palettes are stronger, clearer, and more sophisticated. Stately homes in the country and industrial spaces in the city are the venues of choice. Vow-and-chow celebrations are giving way to weekend-long weddings encompassing multiple events. Decor is built top down, with flowers and lighting cascading from above on trusses, tree limbs, towers. Food and drink are served small, curated into pairings, flights, and tasting sessions. Entertainment is all about projection, from video to “fire artists” and other highly creative circus-influenced experiences. And every single element is personalized. In this scenario, where the only “absolute” is uniqueness, the glasses guests raise are just as likely to click as they are to clink. Product design and availability have leapt forward while social barriers have come down. 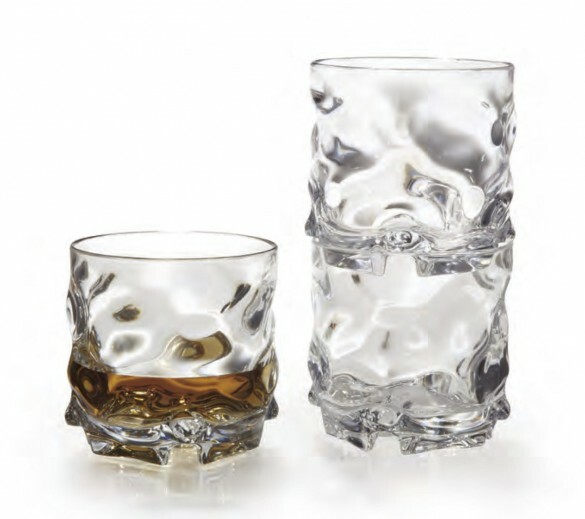 Buying drinkware made of Tritan, polycarbonate and SAN used to be strictly a safety dance. This spring, the dancing can be barefoot on the lawn with barware that’s every bit as sturdy and stackable but–see if you don’t agree–looks and feels like glass. 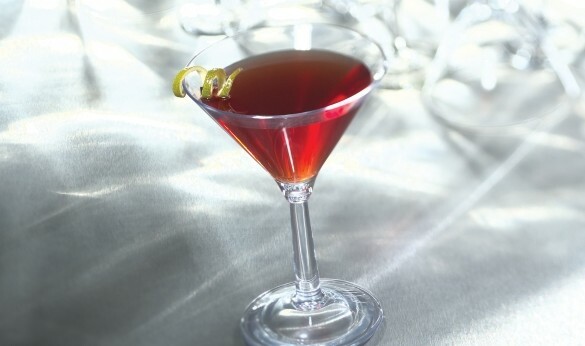 Cambro’s polycarbonate martini glass (photo at top) can be personalized. 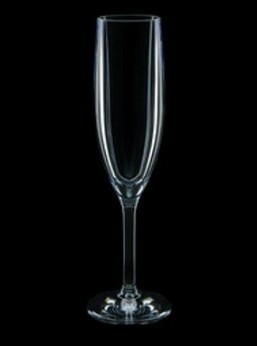 Red, white, stemmed, stemless, sherry, champagne: Carlisle’s got a lustrous glass for that wine. GET’s BPA-free shot glasses work for pudding, picklebacks, Pimm’s Cup, and everything in between. 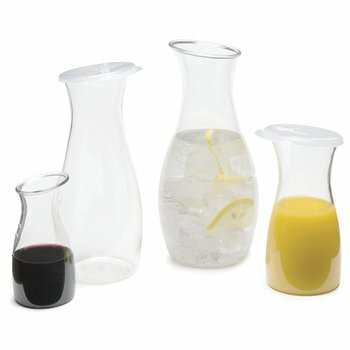 Cool organic shapes distinguish GET’s L7 rocks glasses and tumblers. 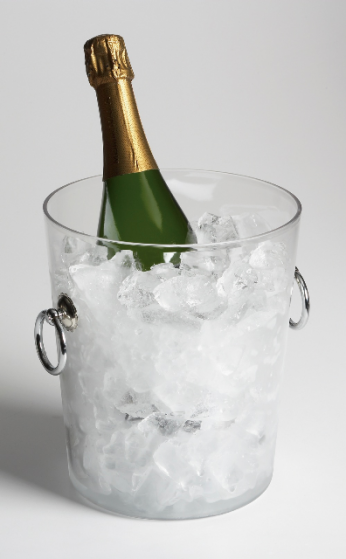 More couples are springing for extra-good bubbly at this year’s weddings. Show it off in Cambro’s clear bucket. Strahl’s hand-finished flutes combine elegance and strength. Carlisle’s Cascata carafes and their snap-on lids offer a green alternative to the mountain-of-water-bottles option and come in sizes from a quarter-liter to a liter and a half.